Life is just to short to not make these cupcakes. Paula Deen....she knows what's up. 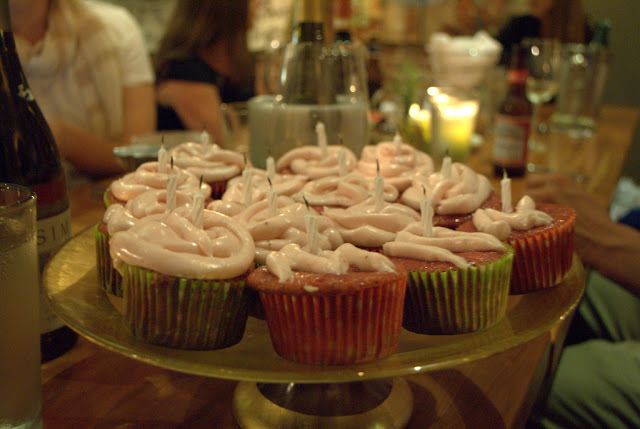 Seriously, next time your friend has a birthday, or there's a baby shower, or it's a Tuesday....whip these up. And yes, you can whip them up. Super easy. Even easier if you have a buddy there. Win was co-creator of these cupcakes; we took turns completing all of the steps. This was especially helpful when it came time to beat in all of the powdered sugar. Are you a little J of those mad piping skills? Win and I were equally bad at icing. That icing is thick. Heavy, too. Like you could do some arm curls with the bowl if you felt like it. You might need to do some arm curls with the bowl....that way you could have two and not feel bad. Combine the cake mix and the gelatin. Add the strawberry puree, eggs, vegetable oil, and water. Beat on medium speed until smooth. 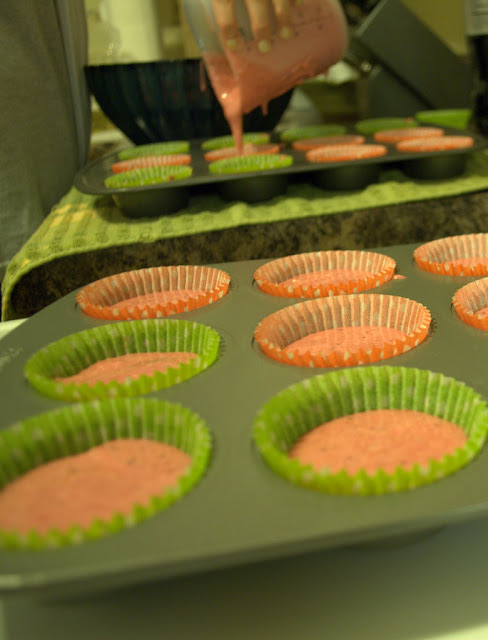 Pour into cupcake pans (fill about half way) that have been lined with cups. Bake for about 18 - 20 minutes or until a toothpick inserted in the middle comes out clean. Allow to cool in the pans for about 10 minutes then move to a wire rack to cool completely. Beat the butter and cream cheese together until cream. Add the strawberry extract and pureed strawberries. Continue to beat this mixture while slowly adding the powdered sugar. Continue to beat until it is all mixed together. Ice the cupcakes. We placed all of the icing in a large zip lock bag and snipped the corner off. 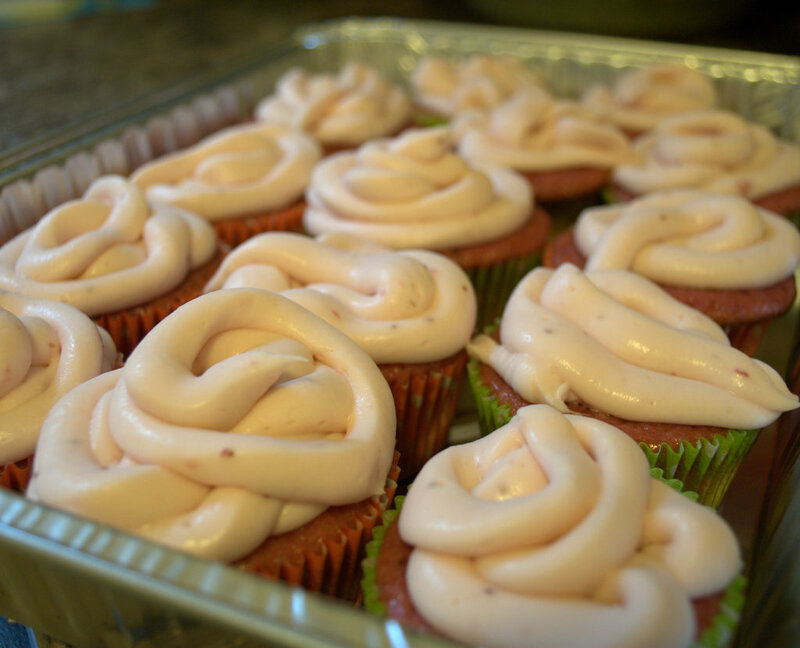 i love that the frosting looks like delicious pink dog poo!